As we welcone the Year of the Pig this 5th of February, we should look forward to it earnestly as good fortune awaits us. The pig is the twelfth animal in the Chinese zodiac, and is a symbol of wealth. Its big ears and chubby faces are also signs of fortune. In this Year of the Pig, many opportunities abound. Whether you are single and trying to be more financially responsible, a parent trying to find ways to make your family more financially secure, or a college student looking to stretch your allowance, you can be more prosperous this New Year! You can start on that journey by trying out GCash Invest Money! 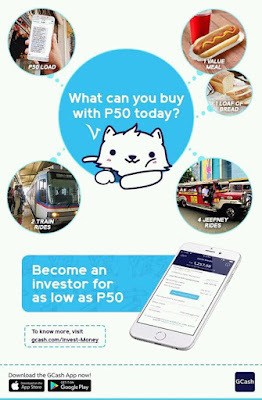 Invest Money is the investment platform within the GCash App that lets Filipinos grow their money via the various funds managed by GCash’s partner product providers. Invest Money gives access to affordable and convenient investment products to every Filipino. Izza Castelo, Head of Investments, had this to say about Invest Money: “Invest Money has been out for a few months on test mode, and what we’ve learned is that Filipinos want to invest - it’s just that so far, they haven’t really had the chance to as there’s no product that is affordable to them and that they can access very easily. With Invest Money, our goal is exactly to fill that gap. Invest Money does indeed fill the gap as it is both affordable and convenient. It does away with the numerous documents that are standard when opening traditional investment accounts. And more importantly, its low minimum investment amount of PHP 50 makes it accessible to Filipinos of all income levels! To use Invest Money, simply open your GCash App and click on the Invest Money button to register. Once registered, enter your chosen amount (a minimum of PHP 50) to invest into your fund/s of choice. Now you can watch your money grow. Turn what you have into something bigger - start investing now using GCash Invest Money - and enjoy a relaxed but prosperous New Year ahead!